The ‘Bristol Independents’ campaign wants Bristol’s local economy to flourish and thrive. According to the New Economics Foundation, each pound spent with a local retailer selling local produce puts twice as much money back into the local economy as a pound spent in a national multiple. Read more about the campaign on our About page. Show some love to Bristol by supporting and celebrating our vibrant array of local independent retailers, cafes, restaurants, and artisans! Display a Bristol Independents poster in your window, on your premises or website. Download a copy here. 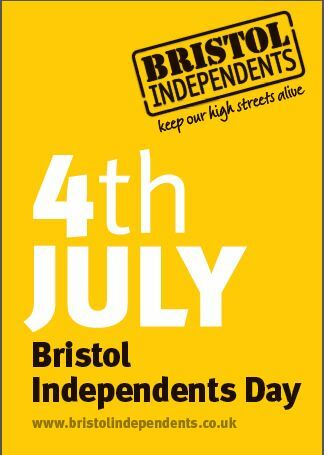 Go to the website to see examples of past Independents Day campaigns and read stories and case studies of Bristol Independents businesses.